The Second Annual North Dakota Human Rights Arts Festival opens Tuesday, January 8 at the Plains Art Museum in Fargo, North Dakota. The festival includes the work of thirty-five 2D, 3D, filmmakers and live performance artists from around the world. Each artist explores human rights, civil rights or social justice issues through their respective mediums. In addition to paintings, mixed media works and photographs, a series of experimental videos will also be a part of the festival. Live performance works will take place during an artist reception scheduled for Wednesday, January 23 from 6-8 p.m. at the Plains Art Museum. The exhibition and the artist reception are free to the public. The exhibition may be viewed during normal museum hours. For the first time, the festival will travel throughout North Dakota. 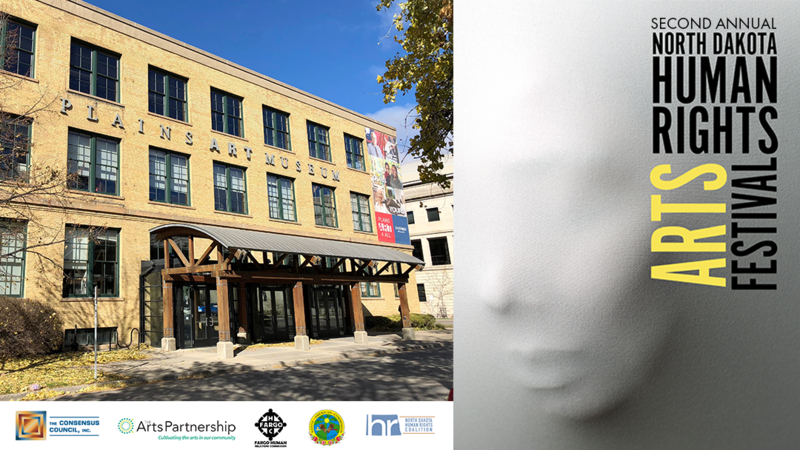 The exhibition opens on January 8, 2019, at Plains Art Museum in Fargo. On February 1, the exhibition will open in Bismarck at the Bismarck Downtown Artist Cooperative. The exhibition will conclude its travel schedule in Grand Forks in March, opening March 4 at the High Plains Fair Housing Center. Artist Receptions for Fargo and Bismarck have been scheduled. In Fargo, the reception will take place on Wednesday, January 23 from 6-8 p.m. at the Plains Art Museum. In Bismarck, the reception will take place on Friday, February 1 from 6-8 p.m. at the Bismarck Downtown Artist Cooperative. The Artist Reception for Grand Forks at the High Plains Fair Housing Center is presently being scheduled to take place in March. Additional information about all receptions will be announced in the near future. The North Dakota Human Rights Arts Festival is supported through the generosity of the Consensus Council. The Fargo portion of the exhibition is made possible by through a Community Arts Partnership Project grant through The Arts Partnership, the generosity of the City of Fargo’s Human Relations Commission, the City of Fargo’s Native American Commission and through a partnership the North Dakota Human Rights Coalition. 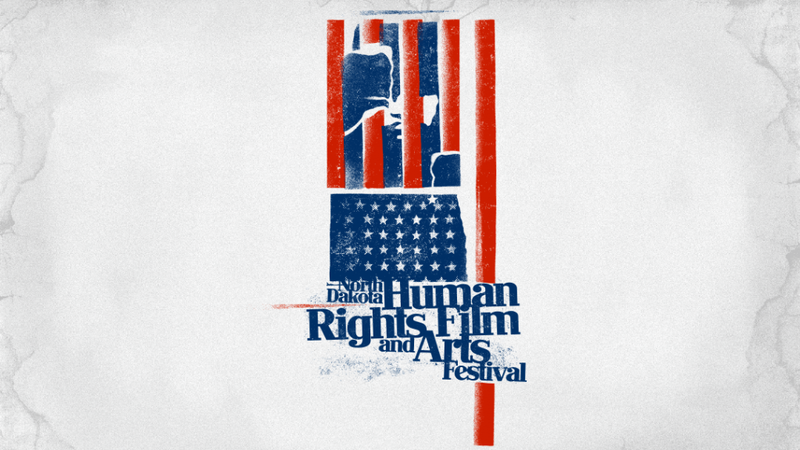 Established in 2017, the mission of the North Dakota Human Rights Arts Festival is to educate, engage and facilitate discussion around local and word-wide human rights topics through the work of artists. For more information about the festival, visit www.human-family.org.